Vinyl strip doors reduce noise, dust, fumes, drafts, conserve energy and increase worker productivity. All kits available with full overlaps -- call for quote. "Snap-On"the snap caps. These hold the strips firmly against the mounting hardware. This tight seal leaves no air gaps between the strips. Snaps on easily - no tools required. 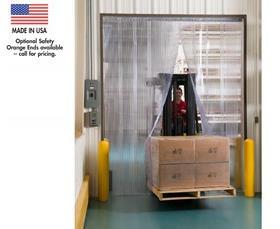 See Related Itemstab for strip door hardware and replacement strips and roll goods. 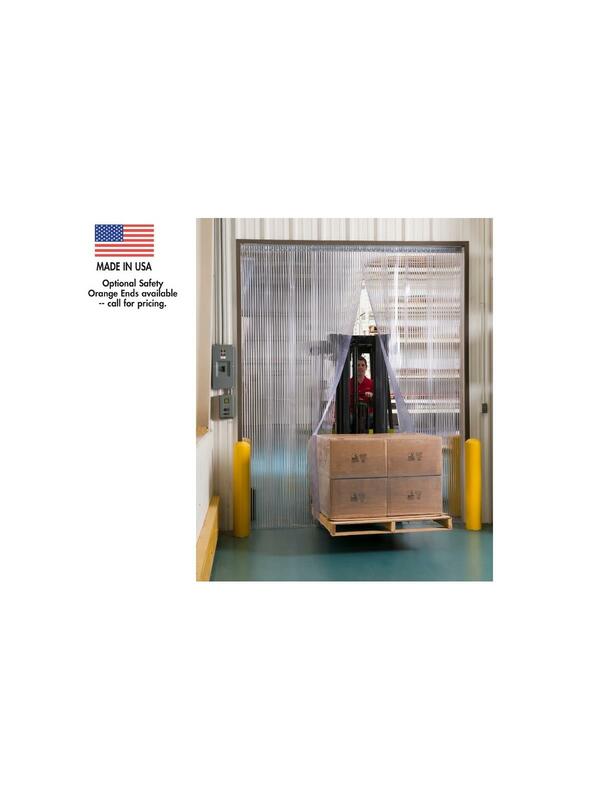 Click here to see more Strip Doors Dock Equipment !